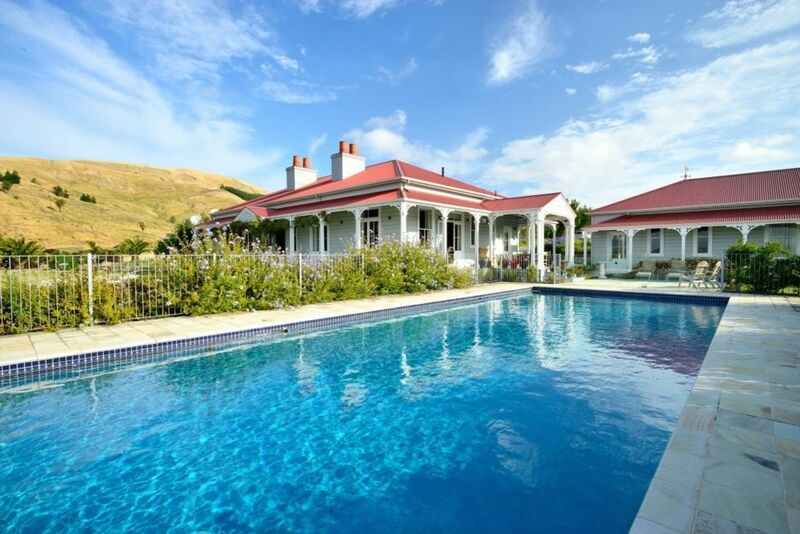 Located within 10 minutes of beautiful sandy beaches and bush reserves, Cape South is a beautiful, graciously designed French colonial-style homestead set within 16 acres of gardens and grounds. The Homestead accommodation is spacious and elegantly appointed, and includes 6 en-suite bedrooms opening on to verandas and gardens. The formal lounge and dining areas are perfect for all occasions. Catering can be arranged, and further accommodation options are possible with a 2 bedroom cottage available. Absolutely stunning property. Luxurious but not pretentious. We felt comfortable enough to relax in all the rooms without worrying about anything. Very peaceful surroundings with all equipment needed for a fabulous stay. Thank you for a wonderful opportunity to stay in one of NZ’s hidden gems. Such a wonderful house and grounds. We had a really fantastic stay, we will definitely be back.